Today we launched an update to Google Translate for Android that allows you to listen to translations in several more languages. We’ve dramatically improved the quality of our spoken translations in over 15 languages, including Russian, Chinese and Portuguese, and added the ability to listen to three new languages: Japanese, Arabic and Korean. Text-to-speech is one of the most popular features of this mobile interface. Whether you’re learning how to say a foreign phrase, or trying to share information with someone in their language, simply tap the Speaker icon after doing a translation and you’ll hear the difference. With today’s launch, Google Translate for Android supports translation between 58 languages and can speak translations in 24 languages. The application works on phones and tablets running Android 2.1 and above. 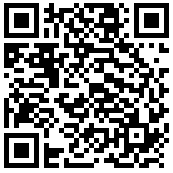 To download Google Translate for Android, scan the QR code below, or visit us on the Android Market. We need Laotian up in here with a quickness. Lot's of Laos in my area. Google = idiot , you should support those language in your android platform then do whatever you want, so how could I use Arabic translation while my nexus doesn't support it at all ??!! Does it move to SD???! Google, any arabic support for Nexus S ? Is it the same for other languages too? Latin! Finally! Thank you! "Gaudeo ut paeloris!" Very impressive. It can even understand my terrible spoken Japanese! Our Armenian language is not supported by Android. And why you have added this language into the mobile translator? Why? Answer me. @Essam: Calling people names isn't generally considered a good way to get them to do stuff you want them to. Thank you Google for the Arabic TTS really appreciated! Hope that Arabic will be completely supported in the next update for Gingerbread (Nexus S user) as it is on Honeycomb. Need for the Chinese TTS to support dialects, such as Cantonese. Thanks for this, Google. Are there any plans to add Greek? Catalan, please! Catalan support! on Voice and the Android SO itself! It's actually quite simple rift platinum (in theory)...Obama can veto rift Gold appropriation bills until the cows come home but he can't rift platinum force Congress to add anything to the rift Gold bills by vetoing them. What rift platinum Obama can do is force a government shut down like Clinton rift platinum did in the '90s rift Gold as a way to bring pressure rift platinum on the Republicans rift Gold to add money in. Then the media arm of the DNC (aka ABC, CBS, NBC, etc) go into rift platinum action a show all the horrible things that happen when people don't get rift Gold their government money.